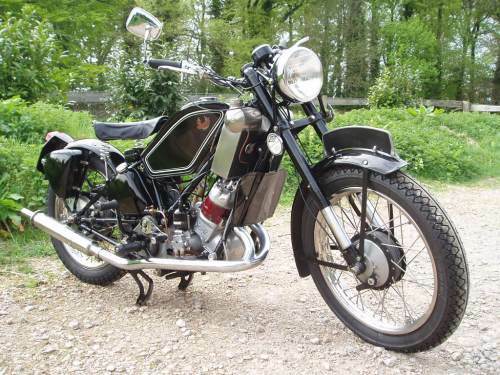 The basic design of the last motorcycles produced by Scott in 1960 used much the same engine design as the first ones made in 1909. 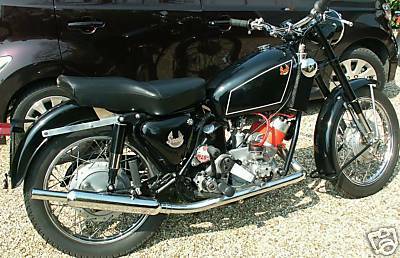 The two-stroke twin-cylinder engines were water-cooled and their purring exhaust note was very distinctive. 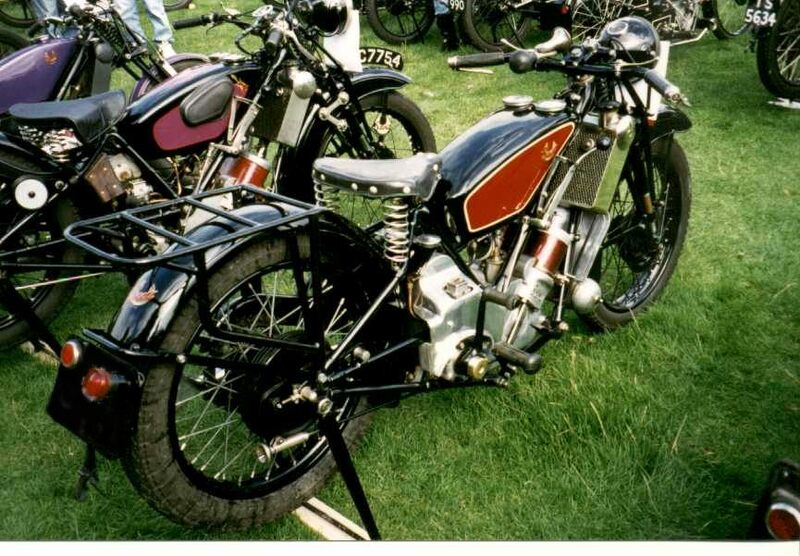 Scotts were also amongst the first motorcycles to have kick-starts - no other manufacturer enjoyed more faithful support from their customers over the years. Scott motorcycle history. 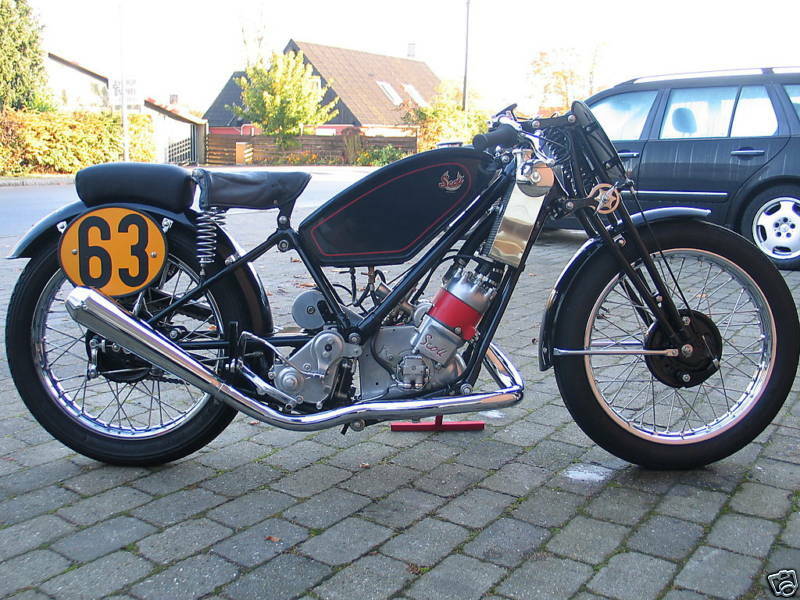 Scott 1933 500 cc Flying Squirrel, one of the last light 3 speeders, has the potential to be made into a Sprint Special Replica. 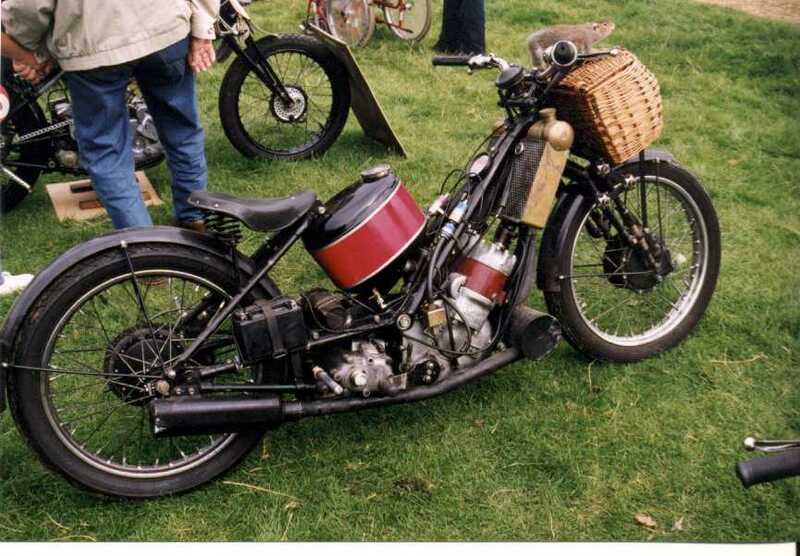 Brampton forks and front wheel with finned brake drum, rear wheel Enfield type. 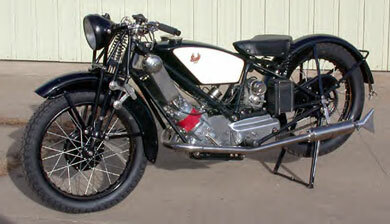 1939 Scott Flying Squirrel GP 595cc 2-stroke engine with 2 cylinders, watercooled and has a 3 speed gearbox. 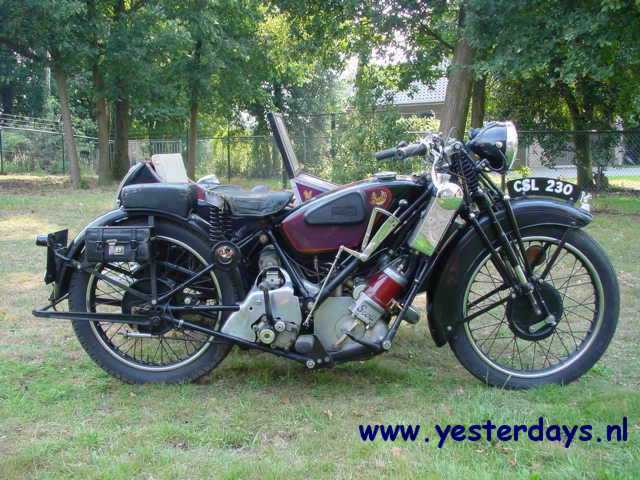 One of the earliest and longest lived autocycles, the Cyc-Auto had first appeared during 1934 and would remain in production, with revisions until 1958. 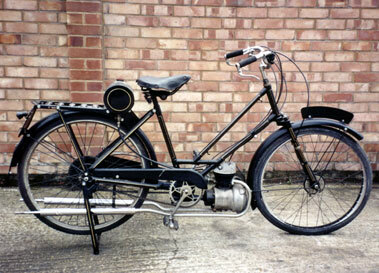 Early variants featured a front mounted magneto, with later Villiers powered examples adopting a flywheel magneto. 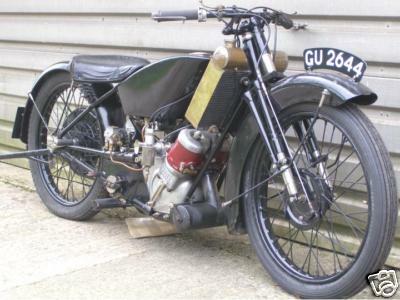 Following the companies sale to the Scott a clutch was added behind the engine, although the drive was still taken by a shaft and worm drive to the bottom bracket on the frame. Scott rationalised the range, offering either a ladies or a gents model, in standard, or as presented here, deluxe form. 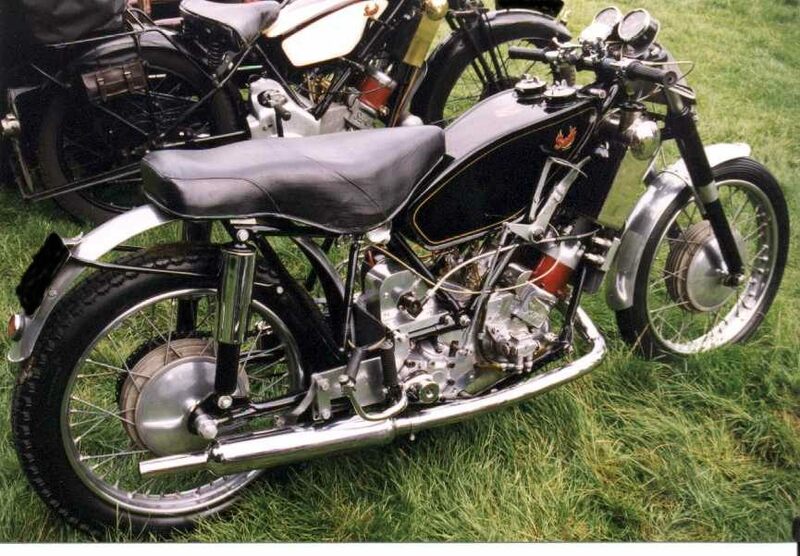 The deluxe variants were equipped with a sprung front fork and drum front brake in place of the calliper type fitted to the standard machine. 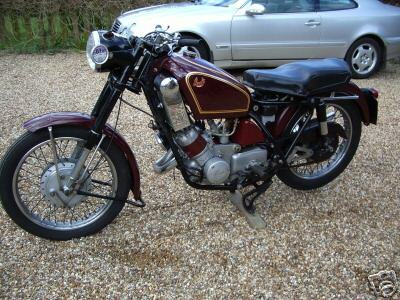 1958 Scott Flying Squirrel Here we have a rare model of the classic Birmingham Flying Squirrel 1958 599cc.